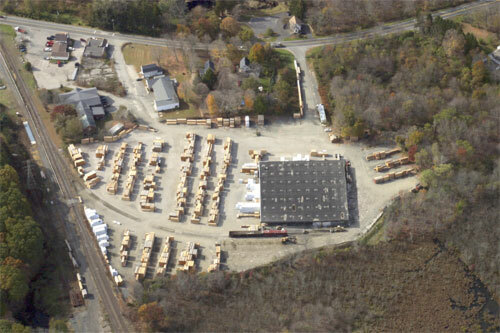 Shepaug Lumber Distribution Facility, Operated by Shepaug Distribution Services, LLC. We are local in Canaan, Connecticut. Someone is always available to respond to your needs. Local service to your siding is customized; we have two crews during the day and one crew at night. Rail economics for boxcars are generally superior to truck and intermodal, particularly for long distances, even considering inventory carrying costs. Cars move fast on our railroad, both in the loaded and empty directions, which keeps our costs and your prices low. We interchange with CSXT at Pittsfield, Massachusetts. We are part of the national railroad system - the best rail system in the world and continually improving. We are a short line railroad that has a north-south line from Pittsfield, MA to Danbury, CT and an east-west line from Beacon, NY to Derby, CT covering over 160 miles. Our workforce is professional, experienced, and diversified. We have a railroad-operated bulk distribution facility, a lumber distribution facility operated by an affiliated company, and a rail-served warehouse operated by a third party. We have many sites available for industrial development totaling over 600 acres. Our management is experienced and progressive, with access to capital.